I have busy busy behind the scenes, updating all kinds of good things for you all. One of the big items that I have been working on is getting an all encompassing Shopping page. 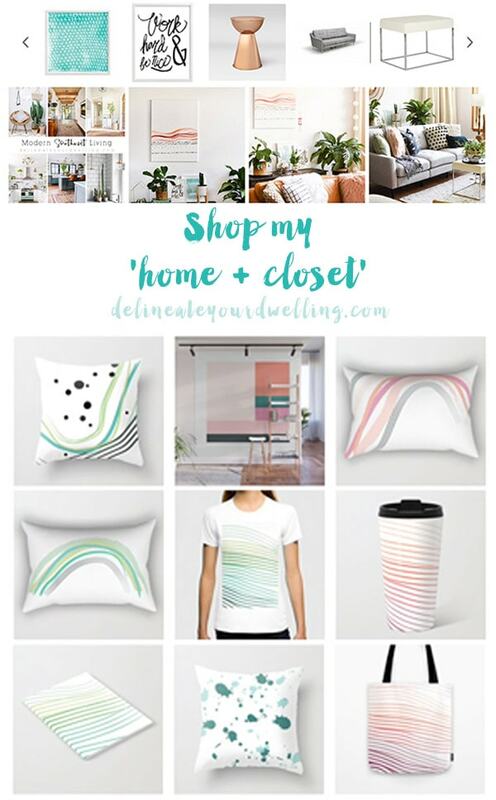 I get so many questions via Instagram and blog comments about where I get various home decor, clothing, books I love and so much more. So it seemed important to gather up everything and create a Shop my ‘fill in the blank’ page – HA! 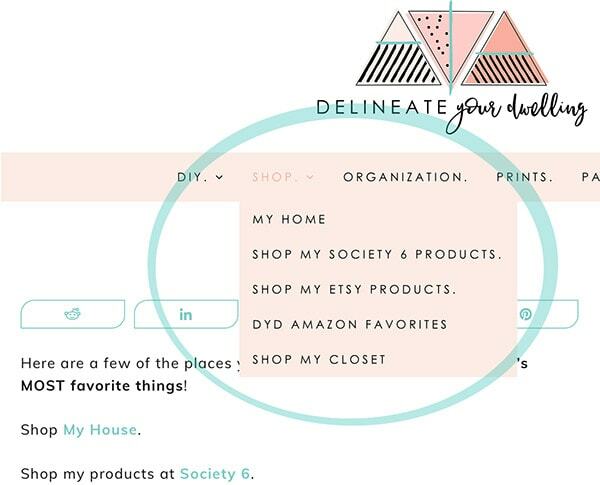 If you head to the soft pink banner bar near the top of the blog, you will see a “SHOP.” tab. Upon clicking or even hovering there, you can see 5 different tabs for different shopping pages. Here are a few of the places you can find Delineate Your Dwelling’s MOST favorite things! This page shares all the different projects I have done over the five plus blogging years, in all three of the homes we have lived in (two of them being owned, one being rented). From the artwork, to furniture and miscellaneous home decor I have tried to recall and source many of them items in our home. I have our Living Room, Dining Room, Office, Bedrooms, etc… projects up there. So many projects! Let me know if there are sources you are still looking for and I’ll do my best to search them out. 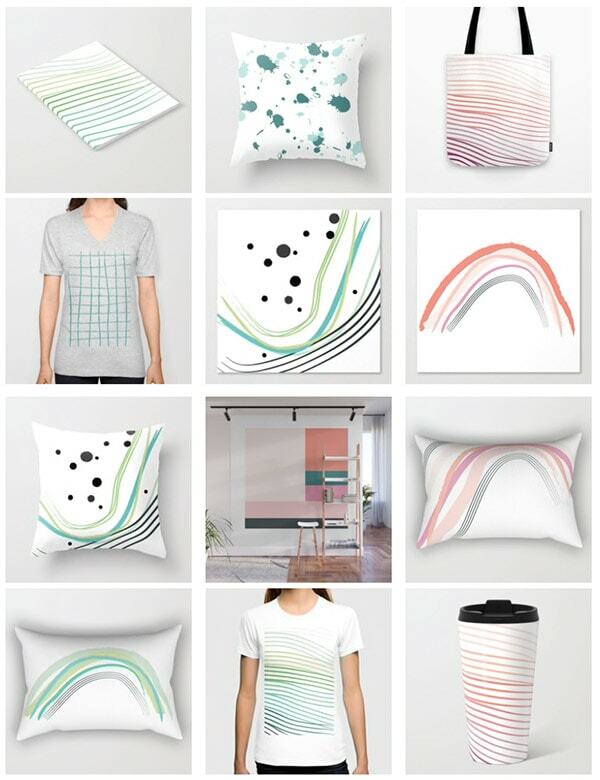 Shop my products at Society 6. 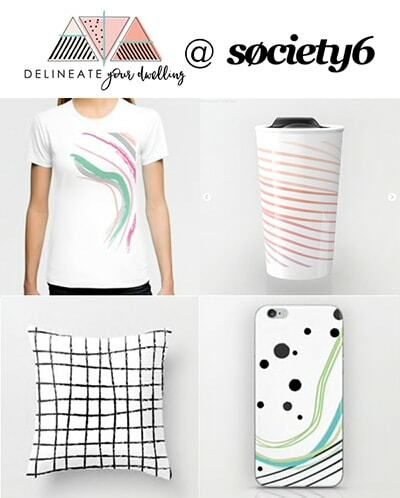 Oh my Society 6 shop! 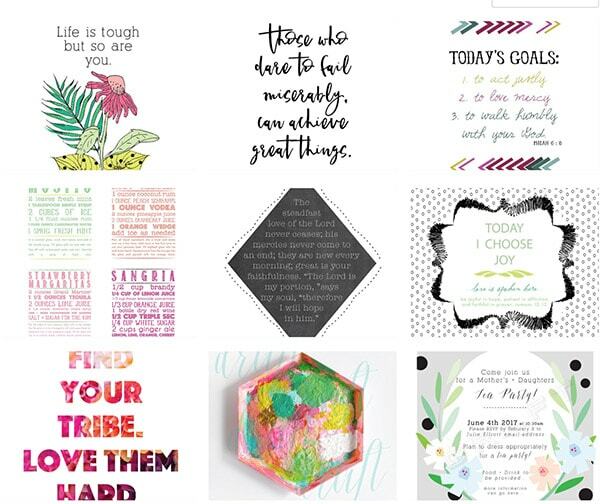 I love creating new patterns and color palettes for my shop and I update it regularly. I wrote all about my excitement for this shop on this Start where you can post. Shop my products at Etsy. My Etsy shop was where it all started. I first got the creative bug with creating graphic prints. Those prints were my bread and butter for a good while before I ever even had the guts to start a blog. 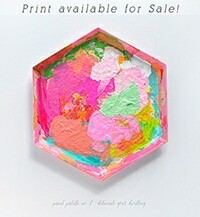 And I still update my Etsy shop with new prints. 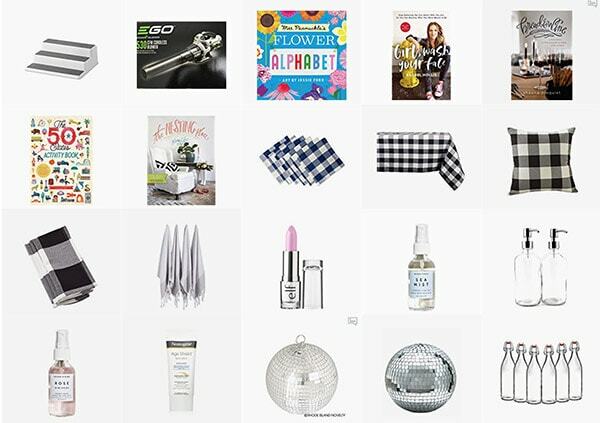 My Amazon Influencer page is where I keep all the go to favorites! From the books I can never stop raving about to my best 8″ disco ball find. This shop holds the newest favorites that I crush for big time. Is it just me or is it your secret wish to sneak into your best friend’s closet and check out all her newest clothing finds??! Maybe it’s just me, ha. 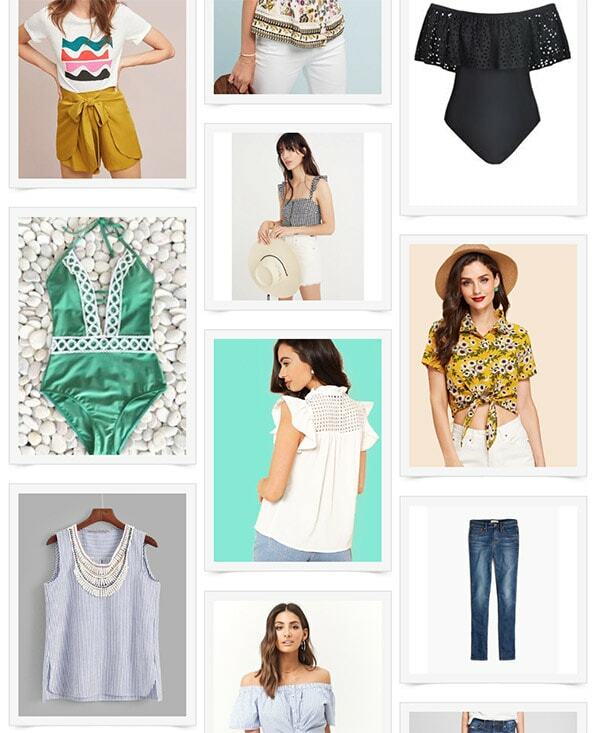 Shop my Closet is a place I am going to try and keep updated with my favorite clothing, from sale items to just some of my go to things!